The concept behind cloud computing is simple: it lets you run computer applications over the Internet, without having to buy, install or manage your own servers. You can run your company’s IT operations with nothing more than a browser and an Internet connection. Applications, operating systems, servers and network switches all reside out of sight and within the metaphorical cloud, the Internet and are managed by your cloud computing vendor. Low overhead: Upgrades, maintenance and system administration take place in the cloud and are managed by the vendor, so you don’t have to spend nights or weekends supervising a new version upgrade or a failed server. One industry analyst study found that cloud-based business software cost 50% less than on-premise software over a four-year period for a 100-employee company. Ease of access at anytime, and from anywhere: Cloud computing is “always on,” making it easy to grow your business and support remote workers and locations, or support a highly mobile sales or service team, because people can access the cloud any time, day or night, from any browser, desktop or mobile device around the globe, 24x7. High availability: Cloud software architectures are designed from the ground up for maximum network performance, so they frequently deliver better application-level availability than conventional, on-premise solutions. For example, NetSuite commits to 99.5% availability for its customers, and provides data security such as PCI DSS compliance that would be cost prohibitive to achieve with on-premise software. Security: For many companies, the level of security and availability, disaster recovery and back-up provided by a software-as-a-service provider far exceeds that which they can provide themselves. NetSuite, for example, provides data security such as PCI DSS compliance that would be cost prohibitive to achieve with on-premise software. Fast deployment: You can be up and running with ERP, CRM or ecommerce applications, on a local or global scale, within a few months, rather than the six to 12 months it would take to install and troubleshoot conventional servers and software. Optimised performance: The cloud adjusts to your performance needs, dynamically assigning server cycles whenever and wherever you need them, and automatically adjusting to spikes in your business. Subscription-based pricing: You pay as you go, often on an annual basis, unlike conventional systems where you have to make a major up-front investment in licenses, hardware and software. You benefit from better cash flow and far greater IT flexibility. Energy savings: By eliminating the need for on-premise hardware, cloud computing reduces overall server room electric consumption as well, which can save a mid-size businesses more $10,000 or more per year, according to a recent sustainability impact study. 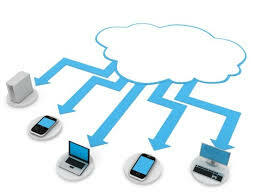 Best of all, cloud computing lets you focus on your business rather than on your software. You don’t have to use valuable IT resources to keep business systems on life support. Instead, you can re-deploy them to focus on more strategic business initiatives while leaving your cloud computing vendor to worry about scalability, security, uptime, application maintenance and system upgrades. And you can be confident in taking your business public, or into new regions of the world, without outgrowing your cloud computing resources, thanks to the world-class datacenters typically provided by cloud computing vendors. You’ve decided that you no longer want responsibility for maintaining and supporting your ERP system in-house. That’s a wise choice—and one that reflects the ever-increasing numbers of companies moving to the cloud to focus more on their business instead of their IT infrastructure. But buyers beware: Not all hosted software offerings marketed as “cloud” are true cloud solutions. Recognizing a lucrative chance to create an additional revenue stream, many on-premise vendors are trying to pull the cloud over your eyes by “cloud-washing” their applications. Who’s Running the (Server) Farm? Now take a look at how fake cloud vendors work. 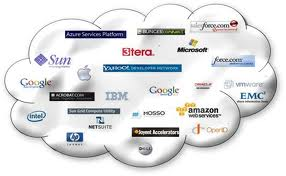 Many ERP systems that are billed as running in the “cloud” were designed to run on-premise. These vendors typically do not host, manage, or maintain these “cloud” ERP solutions. Instead, they turn responsibility over to a local value-added reseller (VAR) or other service provider. This is very similar to how application service providers (ASPs) operated more than 20 years ago, and there’s a good reason most of them went out of business. Delayed and painful product upgrades. When your on-premise solution is hosted by others, you still have to suffer through the same potentially arduous (and expensive) upgrades every time the software vendor releases a new version of its product. In addition, you are also at that hosting vendor’s mercy regarding when they choose to roll out the newest solution. Because the vendor will need to upgrade each customer one by one, including transporting past customizations over to the new software, it could take months or even years to get updated and by then, the next version of the product may be around the corner, which is no different from being with an on-premise vendor after all. Need to overbuy/overprovision capacity. If you’re uncertain of how much capacity you’ll need, you’ll probably have to over-buy the number of software licenses to ensure you’re not caught short; or, worse yet, you under-provision and can’t live up to your SLAs with your customers because you “failed” to plan ahead. You don’t have to endure painful upgrades. With true cloud providers, you are regularly and transparently being upgraded to receive the latest innovations and benefits. Because of this, you know you’re always running on the latest version of the software and your customizations automatically move over to the latest solution.